We Make Our Own Tanks! We install residential and commercial systems of all sizes. From conventional septic to aerobic treatment units (ATU), as well as grinder pumps and lift stations, we can handle your needs. 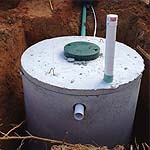 We are your source for all your needed repairs or maintenance for any kind of septic system. From sewer lines, tank cleaning, to system repairs, we can help you get your system in working order quickly. 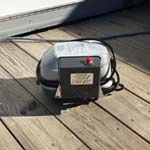 We carry replacement air motors, submersible pumps, lift pumps, and grinder pumps. Replacement tank lids in a variety of sizes are also available. We also offer service contracts. Riverside Septic is proud to offer affordable and competitive prices on the installation and repairs of all kinds of septic systems for residents in Amite, Hammond, St. Tammany Parish and Tangipahoa Parish areas. We manufacture concrete tanks on site for Delta, Aqua Aire, and Mo-Dad systems. We are a distributor for these companies and sell to surrounding installers. We can also order specialty tanks to meet a variety of needs. Call us today to set up an appointment! Our goal is to provide prompt, honest, quality work to our customers. We have three state licensed and insured installers to install and diagnose system problems. 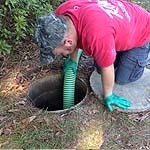 From new system installation to troubleshooting problems, call us to help with your septic needs.